Samuel John Atlee saw the American Revolution from all angles. Atlee experienced the war as an officer of middling rank. He survived imprisonment by the British only to become a member of the Continental Congress and leader in Pennsylvania politics. Samuel John Atlee gained military experience serving in the British Army in the French and Indian War. Atlee was a member of the Forbes Expedition, one of many successful confrontations which led to the British victory. He undoubtedly knew of George Washington by now as he was a Colonel who played a large role in the Expedition. Afterward, Atlee returned to his home in Pennsylvania where he took up practice of the law. At the outbreak of the American Revolutionary War, Atlee had decided to firmly stand with the Patriot Cause. He volunteered for the Continental Army and was named Colonel. Atlee was put in command of the Pennsylvania Musketry Battalion and led them north to join the main Army. When he arrived in New York, Atlee was sent to Brooklyn in anticipation of a British attack. In the Battle of Long Island, Washington was fooled by the British and Atlee’s men were taken by surprise. His Battalion fought bravely at the Old Stone House, pushing the redcoats back two times. When reinforcements finally arrived, it was too late. The Americans were vastly outnumbered, and a retreat was ordered. Atlee stayed behind, fighting the enemy until there was no move but surrender. He was taken captive by the British. Samuel John Atlee remained as a prisoner of war for two years, somehow surviving in unbelievably harsh conditions. When he was release, Samuel returned to Pennsylvania. Soon after, Atlee was selected as a delegate to the Continental Congress. He spent five years in the Congress, eventually seeing the Articles of Confederation being ratified. Atlee had dedicated a giant chunk of his life to the United States, and now he was able to give it a government. After his time in the Continental Congress, Atlee was elected to the Supreme Executive Council of Pennsylvania, representing Lancaster County. This Council was the group which, at the time, served collectively as the Governor of the State. Although Atlee was just one member of this group, it still put him in an extremely significant position when it came to steering the direction of Pennsylvania’s government just as the Revolutionary War was coming to an end. If you'd like more articles like this one every day, please subscribe to our email list. 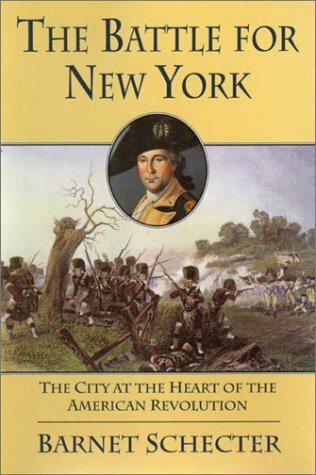 To learn more about the Battle of Long Island, I recommend 'The Battle For New York.' Pick up a copy through our affiliate Amazon through the link below.